Description: 1. Preheat conventional oven to 350 F (never to exceed 400 F). 2. Shake 1 tablespoon flour in oven bag. Leave flour in bag to protect against bursting. 3. Place bag in roasting pan at least 2 inches deep. Bag should not hang over sides. 4. Brush turkey with vegetable oil. Add turkey to bag. Close bag with nylon tie packed in carton. 5. Cut six 1/2- inch slits in top of bag. Place in preheated conventional oven. See inside for cooking times. 6. 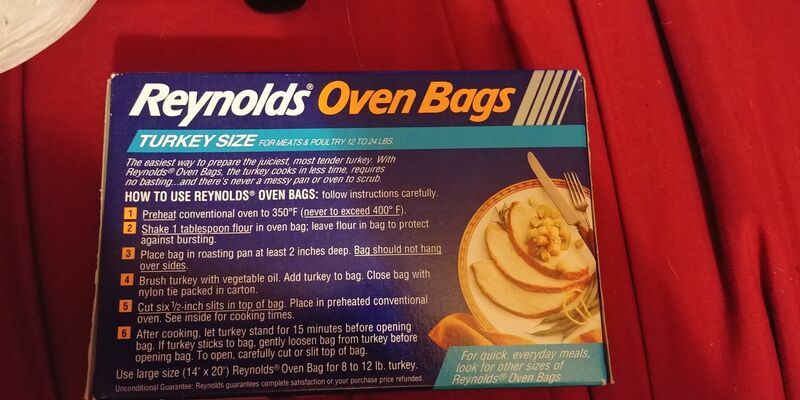 After cooking, let turkey stand for 15 minutes before opening bag. If turkey sticks to bag, gently loosen bag from turkey before opening bag. To open, carefully cut or slit top of bag. 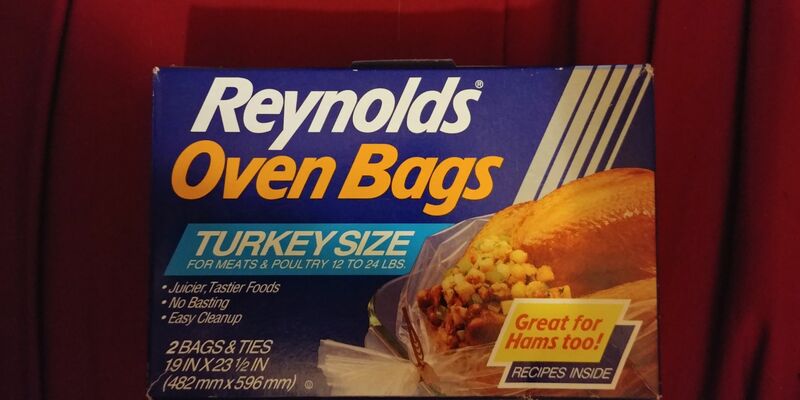 Use large size (14” X 20”) Reynolds Oven Bag for 8 to 12 lb. turkey.